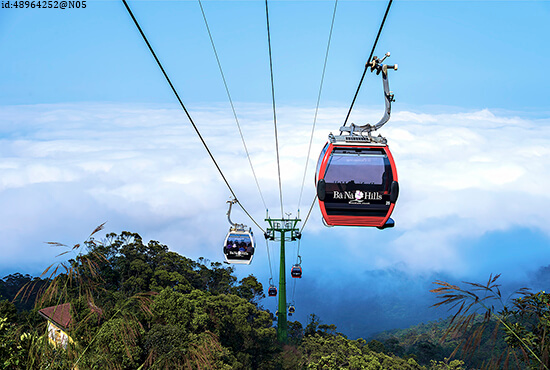 The planet's longest single-wire cable car, this Guinness World Record-holding gondola carries you for three miles above the rainforest-carpeted Ba Na Hills, linking Vong Nguyet Hill with Ba Na Mountain. Opened in 2013 to celebrate the 38th anniversary of Da Nang's liberation, the ride allows you to spot dense jungle and waterfalls as you float over the rolling ridges, fully encased in a glass pod for panoramic views of Vietnam's countryside. In order to cut journey times for its frustrated commuters trying to navigate the traffic-clogged streets, Bolivian officials sought to build a cable car to cut journey times from capital La Paz to El Alto. Opened in 2014, Mi Teleférico has not only done that (travelling times have been reduced from 30 minutes to less than 10!) but it's also popular with visitors too, offering unique views of the metropolis. It's also the highest cable car ride in the world, operating at 4,000m above sea level. It's expanding too, with three lines currently and another seven planned. But the best bit? It's one of the cheapest rides around, with tickets costing around 25 pence. We all know Banff National Park has incredible scenery, but ogling it from atop a mountain can make it even more special. And that's what makes the Banff Gondola a must-visit while on a trip to Banff, where an eight-minute journey sees you soar to the top of Sulphur Mountain. When you're at the summit, you'll have the luxury of unparalleled views of the Canadian Rockies, tunnel views of the Bow Valley and picturesque towns below. 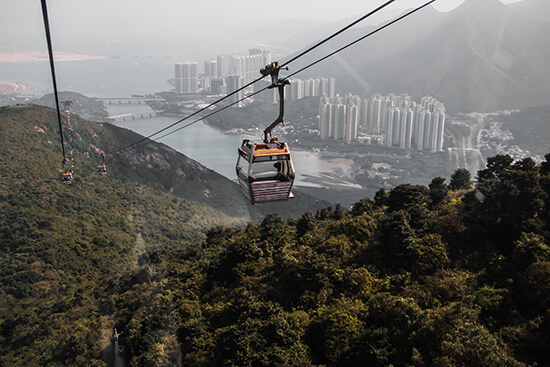 Connecting the town of Tung Chung with the Ngong Ping plateau, this 25-minute journey takes you across rolling emerald hills and crystal-clear waters to Lantau Island. On your ride, keep an eye out for the 34m-tall Tian Tan Buddha rising up in the distance, the Po Lin Monastery and the South China Sea. If you're feeling flush, go for a Crystal Cabin, complete with glass floors, offering the real 360-degree view treatment. 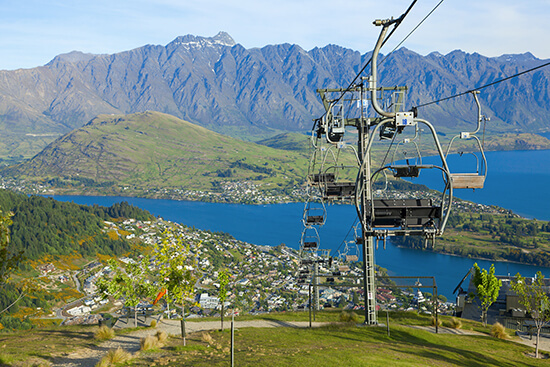 Known for being the steepest cable car ride in New Zealand and the Southern Hemisphere, glide 450m above Queenstown to Bob's Peak for panoramic views all across Lake Wakatipu, Queenstown Bay and the distant Remarkable Mountains. Once at the top, you can take advantage of around 25 biking trails. You can even attach your own mountain bike to the gondola's pods to take up the peak with you! 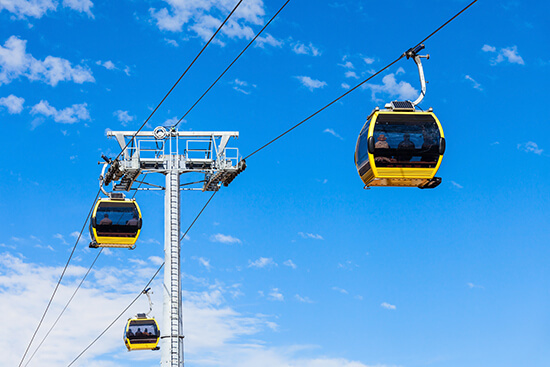 Spanning a whopping eight miles, this cable car – previously known as Teleferico de Merida – was once both the longest and highest in the world. However, after being closed in 2008 for refurbishment, it was reopened in 2014 under a new name, Mukumbari. Running over four stages, it rises 3,200m from Plaza las Heroínas in Merida up to the 4,765m-tall Pico Espejo (Mirror Peak). It's so high that oxygen is made available in the cabins. It takes an hour to complete the circuit, but with jaw-dropping views of the Andes range, why would you want to get off? In the fifties and sixties, California's Palm Springs was the home of choice for many of Hollywood's most famous actors, but these days, the real A-lister is its cables car. 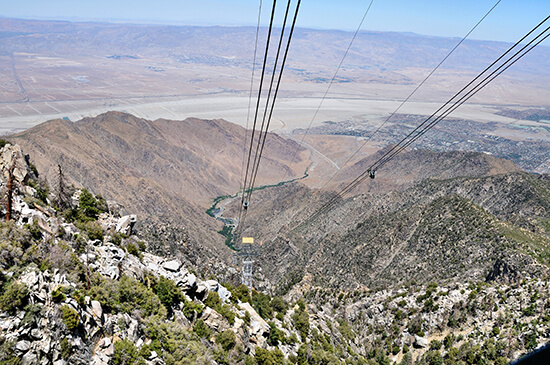 Transport yourself above the cliffs of Chino Canyon onboard the Palm Springs Aerial Tramway, climbing over 2,500m from the desert floor. In just 10 minutes you'll be nestled in the heart of Mount San Jacinto State Park. Not only that, it's also the largest rotating tramway on the planet – perfect for glimpsing the shimmering Sonoran Desert and the jagged San Jacinto Mountains. Mount Huashan is notorious for being one of the most treacherous peaks in China. 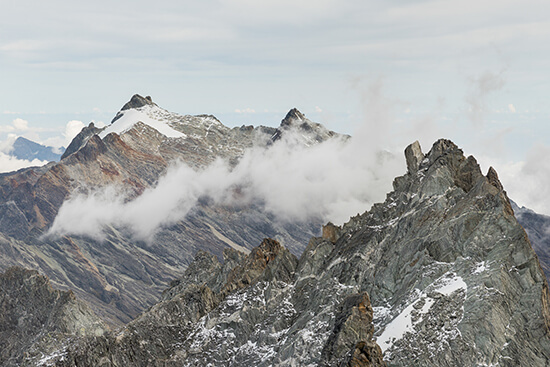 Its five peaks offer even the most hardened of climbers a tough test and, to conquer the north peak, adventurers have to scale over 1,600m of near-vertical cliffs. 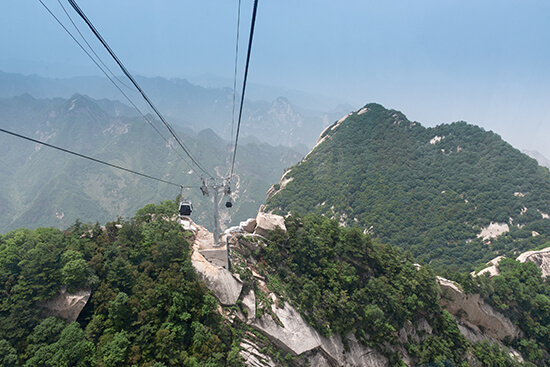 Thankfully, for those less adrenaline-fuelled, the Huashan Cableway takes you to the top in just eight minutes, allowing you to sit back and gaze out at the old city of Xi'an, the ancient capital of Shaanxi Province and the start of the Silk Road. So many destinations are best seen from above – which is why we love cable cars so much! Speak to one of our Travel Experts about finding the best gondolas in your holiday destination.